On Saturday Bob and I went and did some heavy grocery shopping at Costco (no food in the house after I’ve been at work for 5 weeks!). 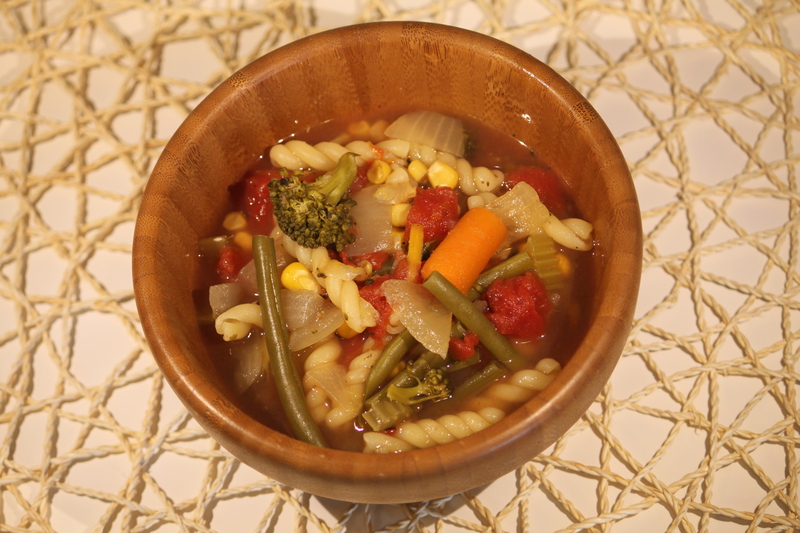 We ended up with tons of veggies and I was thinking how awesome some vegetable soup would be so on Sunday I just started throwing things in the crock pot and this is what we ended up with and it was delicious! Combine all ingredients in crock pot except pasta. Cook on low for 6 – 8 hours. During the last 30 – 45 minutes of cooking time, up temperature to high and add pasta. Continue cooking until pasta is al dente.